This week marked my introduction into Brooklyn literary society. 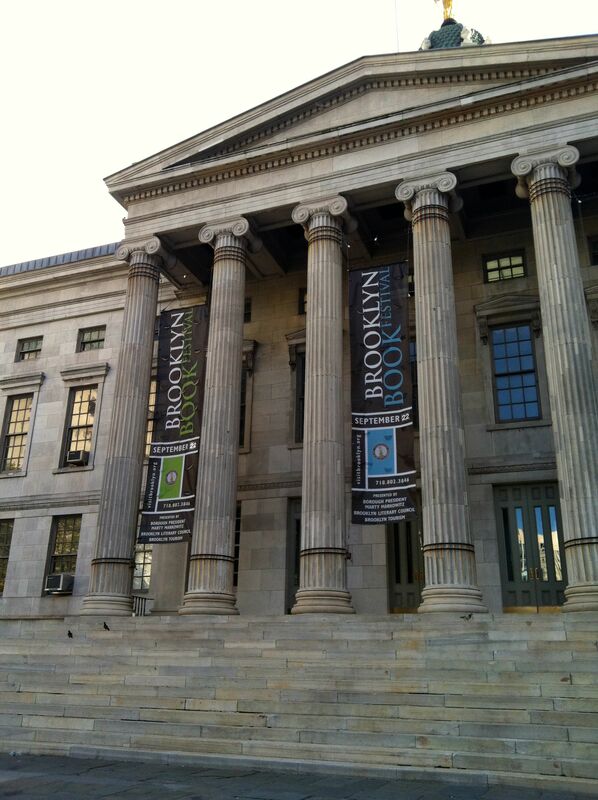 No, I did not have a debutante ball, I attended the Brooklyn Book Festival. Immediately upon my arrival here three weeks ago, I read about the festival and knew it combined everything I was looking for in my new home: authors, books, and non-stop conversations about the literary and publishing worlds. The festival did not disappoint. After having attended the Wordstock Literary Festival two years in a row in Portland, I had a thirst for literary festivals. The Bookend Events, held throughout the week at various Brooklyn bookstores and bars, brought the fun to the festival. Before the Sunday marathon of booth hopping and sitting at panels, I enjoyed literary trivia with a guest appearance by Brooklyn’s own Jonathan Ames, a battle of the books celebrating debut authors, and a reading with current literary all star/my new writing idol Alissa Nutting. Spending three nights this past week attending free literary events reminded me why I wanted to move here–big things are happening in the literary world and all you have to do is go out and find them. That being said, the full-day festival on Sunday left me overwhelmed and maybe even a little emotionally exhausted. I hate to be a pessimist, but sometimes these festivals become awash in desperation. There are simply so many aspiring writers wandering around from booth to booth hoping to talk up the right person and land their big break. I know this because I’ve seen it first hand manning booths at Wordstock the previous two years. One writer went so far as to shove his manuscript at me and ask if we were interested in publishing his book. That’s a lot for a lowly intern to endure. Needless to say, I didn’t spend much time wandering the booths. I didn’t particularly want free back issues or logo-bearing pens. I was more interested in the panels. Unfortunately, my friend and I arrived just late enough to a panel on feminist publishing that they wouldn’t let us in. Not a good start. We had better luck at the next panel, which featured four publishers discussing the current and future state of the publishing industry called “Making the Books.” The buzzwords here were “optimism,” “chaos,” and “self-publishing,” that term that has been haunting publishing conferences for the last few years. One publisher said of the changing landscape of publishing that now the weaker are being weeded out. That’s optimistic in a way, I suppose. Another publisher said this isn’t necessarily a “doom and gloom” time, but rather one of pure chaos. Whereas before the industry was stable for decades, it now changes every six weeks. The publisher who really stood out to me, Jane Friedman of Open Road Integrated Media, discussed her new publishing venture with that key word: optimism. She described this time as the “golden age of publishing.” Her company takes out of print classics and brings them back as e-books in order to reach a new generation of readers. Having worked for years in the big publishing houses, she felt excited about the direction publishing is moving. I left that panel wishing I could buy her a cup of coffee and listen to her wisdom. So what is the takeaway from my first foray into organized literary happenings in Brooklyn? Arrive on time. Be prepared to feel awe over the publishing houses and journals that are represented here. Don’t expect a life changing occurrence, but be okay with that. Do be open to some amount of optimism. At the YA panel, I crowded into an area with dozens of teen girls and children who were eager to ask questions of the writers they admire. On a weekend. On a sunny day. If that doesn’t give me hope for the future of books, I don’t know what will.